The Party Faithful was born in Brooklyn. We rehearse in Brooklyn. And 3 out of 5 members call Brooklyn home. 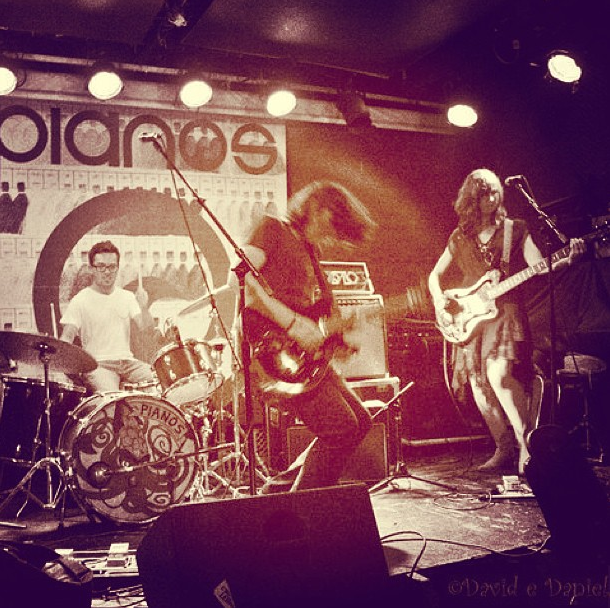 Yet, we don’t remember the last time we played a show in Brooklyn! So we’re changing that this Friday! We’re excited and proud to be performing at the first ever RiverArts Music Tour. It’s a full day of music, across all the river towns. 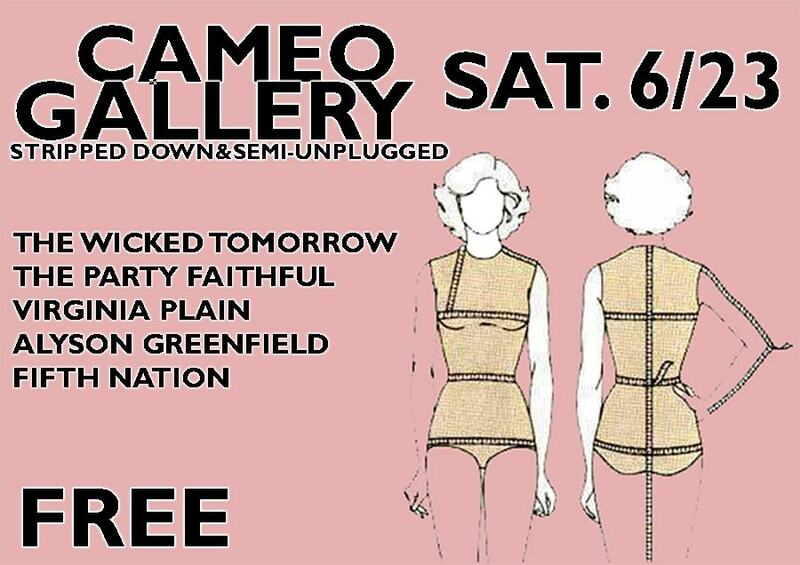 We’ll be playing two “semi-acoustic” sets, at two venues. One early show, and one later show. More info here. We’re heading back upstream… to Upstream. 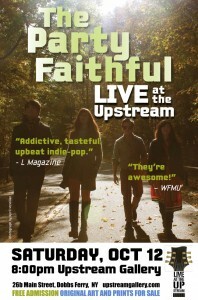 We’re thrilled to be invited back to the Upstream Gallery in beautiful Hastings-on-Hudson. 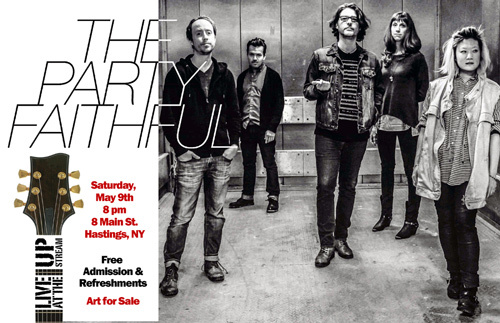 The show is happening Saturday, May 9 at 8pm. In additional to your beautiful faces, there will be beautiful art for sale. But the music is free. And so is the wine! Hey NYC/local friends – we love brunch, bloody marys, rock n’ roll and you, so we are playing Battering Room’s Northside Festival showcase at Bar Matchless. It’s a FREE matinee show, Saturday 6/14. The Party Faithful, too are heading home. Well, home to 40% of the band. We’re heading up the Hudson River to the little town of Dobbs Ferry for one night of fun. We’re not promising foliage (save for the occasional “early turner”) but we’re promising a good time. 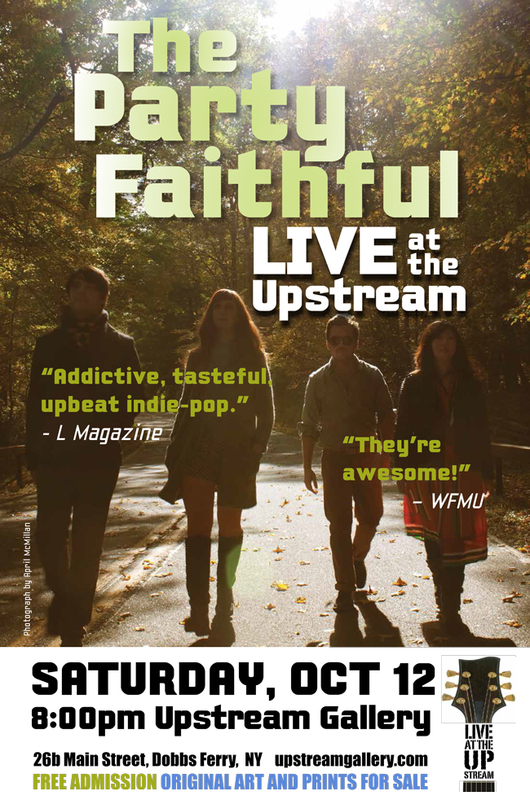 It’s happening at the aptly named Upstream Gallery on Saturday, October 12. It promises to be a extra special night of reworked originals, a few covers, and maybe even a special guest. And it’s a gallery, so if you get board of watching us, you can take in some art. August 22 is our next show! Mark your iCal, Google calendar, Outlook, Garfield wall calendar, etc. 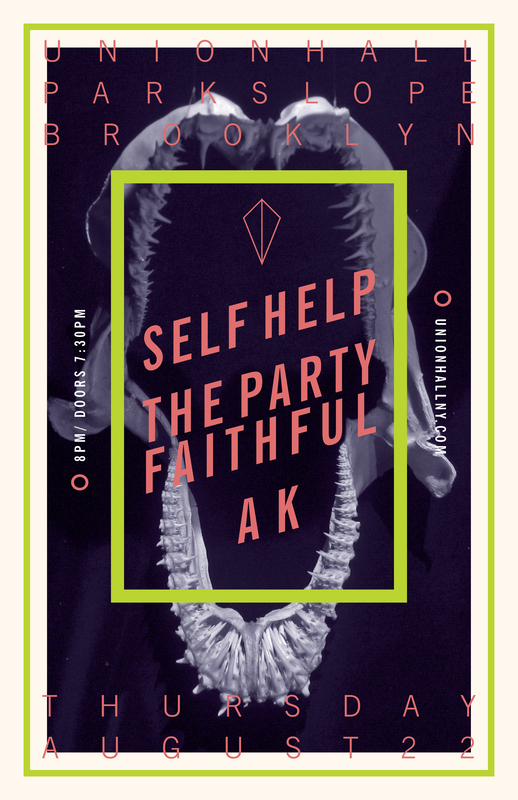 We’ll be playing Union Hall, a very cool club in Park Slope, Brooklyn. 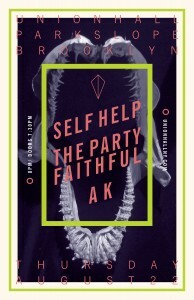 Our friends from Self Help and AK will be joining us. It all gets started at 8pm on Thursday, August 22. Come early and challenge us to a game of bocce. We were lucky enough to play a live set at WFMU on Sunday. Thanks to the wonderful DJ Julie Bennack for having us on her program “Dark Night of the Soul.” The whole set, along with some studio recordings, aired Thursday morning. If you missed it, you can stream the whole show right here (and check out some photos from the session). 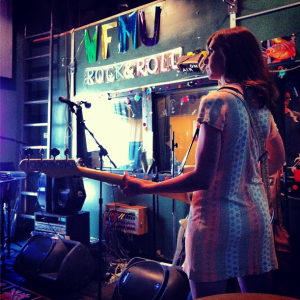 Click here to stream the live session on WFMU. It’s been a while. About a year to be exact. But that’s not to say we haven’t been busy. After a bit of a break, we’ve spent the past nine months working on all new material. And we’re really excited to share. So, don’t be a stranger — the sharing happens on Thursday, July 10 at Pianos in New York. Sharing the bill will be our good friends Chainwave. Things start happening at 8pm. So come take a listen to the fruits of our labor. And we promise to keep in touch. And you thought the genre of the music video was dead! After much work, and too much waiting, the time has come to officially release our video for “Gold Light,” the title track from our latest album. Consider this our ode to the notion that, for better or worse, everything is temporary. Not too shabby for our first venture into the wonderful world of moving pictures set to music. See The Party Faithful like you never have before. 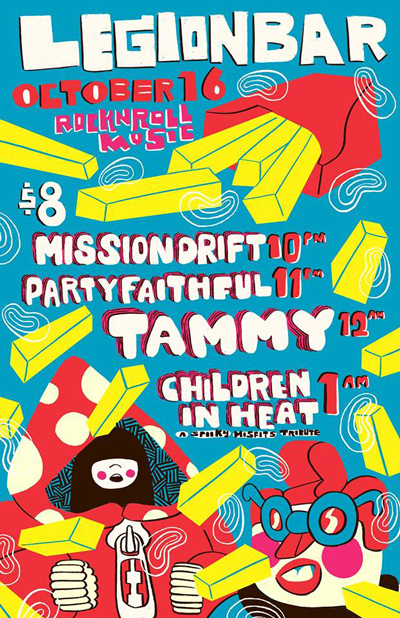 We rearranged a handful of our songs and will be performing them for one night only. It’ll a really special and intimate (and FREE) night of music with our friends from The Wicked Tomorrow, Alyson Greenfield, and others. We’re really excited about this — it’s been a fun and educational process, putting our songs under the microscope and really cutting away the fat — getting to root of the compositions. It’ll also be a great chance to hear a live version of our take on the Beatles classic, Because. 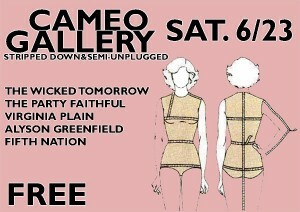 It’s all happening at Cameo Gallery on Saturday June 23. We’re on last, but come early, have a beer and relax. You deserve it! All Rights Reserved. © The Party Faithful.